These are the first bloom seedlings from a cross between two of our most popular Summer bloomers. 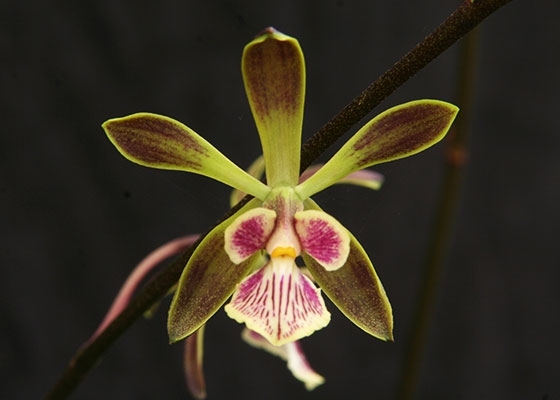 Both parents are natives of Central America, and are among the most powerfully fragrant species in their genus: Encyclia alata and Encyclia mooreana. Both bloom freely and are very resilient plants. 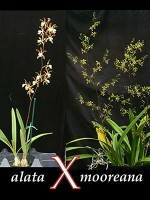 Encyclia alata contributes its larger size and stiffer texture, while Encyclia mooreana contributes its multiple branching flower habit and its higher flower count. .Temperature Tolerant. June blooming.